I was born April 7, 1985 in Berkeley, California and was 2 and half months premature. I weighed about 3 pounds and apparently was about the size of my mom’s fist and forearm. My dad is a 1st generation immigrant from Hong Kong and my mom is from Korea. Growing up in a bi-cultural home meant I mostly spoke English, which I sort of regret now since I can’t speak any other language very well. I grew up in Fremont, California where the most popular local attraction is probably Fry’s Electronics. God found me sometime between 5th and 6th grade at a youth retreat I went to. However, spiritual puberty didn’t really hit until I started high school at Mission San Jose High. Somehow around that time I thought it would be fun to do Christian leadership, so I became an officer in my high school Christian club. I also became increasingly involved at my church and found my first ministry love of worship leading. These early years of ministry set an important foundation for me in following Jesus. Through my many blunders, God smacked some humility into me and I learned many important lessons in leadership that I still carry to this day. After graduating high school, I trekked down to sunny San Diego where I hung out with Shamu and friends and splashed around at the beach. In my free time I attended the University of California, San Diego where I began as a Mo-Bio (Molecular biology) major, but quickly switched when I noticed that I couldn’t stay awake during my chem 6a class. I tried becoming metaphysical with the philosophy crew and munched on some numbers with the econ folks. I even tried dancing around in a Tu-Tu for awhile (just kidding) before finally settling with studying human social interaction. Four long years and a couple of tens of thousands of dollars later, I graduated without honors in June 2007 with a BA in Sociology. Somewhere between not studying and sleeping, I was extremely involved with Intervarsity Christian Fellowship where I led freshmen and upper classmen bible study and then spent a year as the worship ministry coordinator. All the while, God was doing crazy things with my heart, molding (and often beating) in some character and passion for His glory. When I ended college, I was hired onto InterVarsity staff, which is ironic considering I never planned to stick with IV past my freshmen year. After spending four glorious years on IV staff, I felt God lead me to leave staff and begin actively pursuing my call to church planting. I served as a pastoral intern for over a year at my church, Coast Vineyard Church, and am currently a full-time M. Div. student at Bethel Seminary San Diego. From time to time I get invited to speak or lead worship at various meetings, and am always so honored (and shocked) that anyone would ever think of me to minister to their people. So that I don’t starve to death, I work as a Marketing Manager at Accion San Diego. This crazy whirlpool of busyness that I currently call life will hopefully in some shape, way, or form prepare me to church plant within the next four years. I am passionate about helping people experience God through preaching and worship leading, as well as mentoring and raising up leaders who lead with authority and humility. 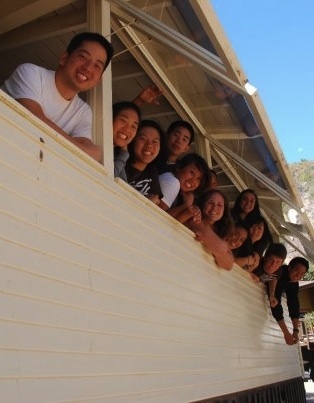 I have a particular heart for the Asian-American Church and long to see them awaken to God’s purposes for them. I also desire to explore what it means to build multi-ethnic, multi-denominational communities that cross and break down barriers. In all this, I hope to life as a man after God’s own heart and lead his people into that same place of intimacy. I desperately long to be a part of raising up a generation of revivalists who live not for themselves, but for God, His purposes, and His people. Joseph Lee is a communicator, marketer, and hopeful future church planter. He graduated from UC San Diego with a BA in Sociology and is currently working towards a M. Div. at Bethel Seminary San Diego. He was also a former staff worker with InterVarsity Christian Fellowship. 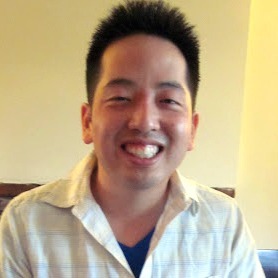 He currently resides in San Diego, California and blogs at JosephJLee.com. His interests include hanging out, his MacBook Air, and surfing…. wikipedia. Oh, and God.